Eagle's Wings Ranch offers boarding to a limited number of horses. Full care pasture board with 24/7 access to shelter, fresh water, two ponds, salt/minerals, over 30 acres of pasture and good quality hay when needed. 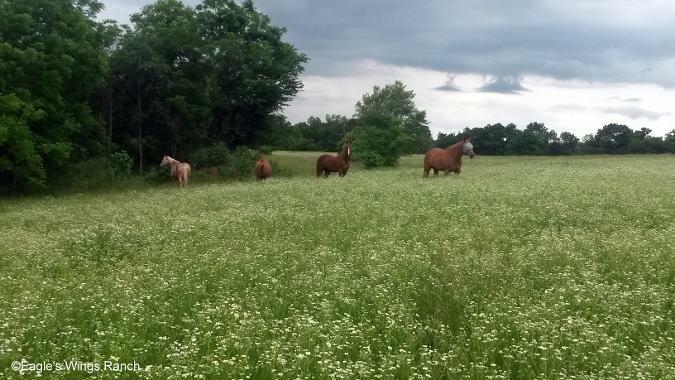 We have a dry lot available for those horses who need limited pasture. 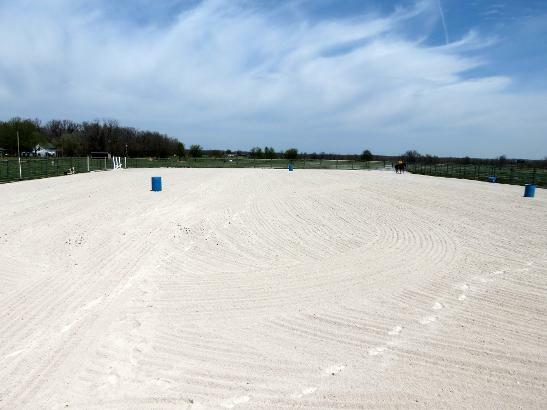 Boarders also have access to our 230' x 160' outdoor arena which is located about a mile from the boarding pasture. Some of the arena props we have available are barrels, poles, jumps and ground poles. 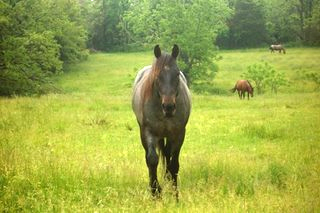 We are also within a few miles of Wire Road Conservation area which has beautiful trails open for horseback riding. Boarders have access to a small lockable tack/feed room. We also love taking care of retired horses whose owners want to insure wonderful care for the rest of their lives and we can provide for all their needs. Proverbs 12:10 "Good people take care of their animals, but wicked people are cruel to theirs." Photographs and/or content from this site may not be reproduced in any way without permission.